This blog explains how to configure Create Customer Assets Page in D365 Partner Field Service Portal. 1. Create a new Entity Form in D365 Field Service. 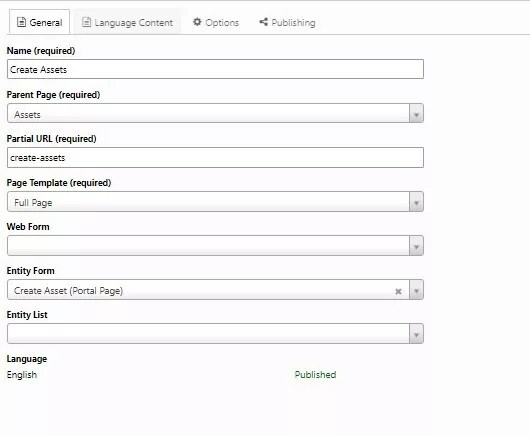 Create a new Form for Customer Asset Entity with name “Portal Customer Asset – Create” and publish as shown below. Create Entity Form with name “Create Asset” as shown below. Open “On Success Settings”, set On Success as “Redirect” and Web Page as “Assets” as highlighted below. Set Submit button on Entity Form, Click on “Submit” Action and enter label as “Create Asset”, as shown below. Create a new Entity Form Data to set “Expose to Customer” equals “True”. Select Type as “Attribute” and select Attribute Logical Name as “Expose to Customer”. Check on “Set Valule on Save”, select Type as “Value” and enter Value as “true”. 2. Create a new WebPage in D365 Partner Field Service Protal. Click on New => Child Page in Administrative Panel. Enter details as below and click on Save button. 3. 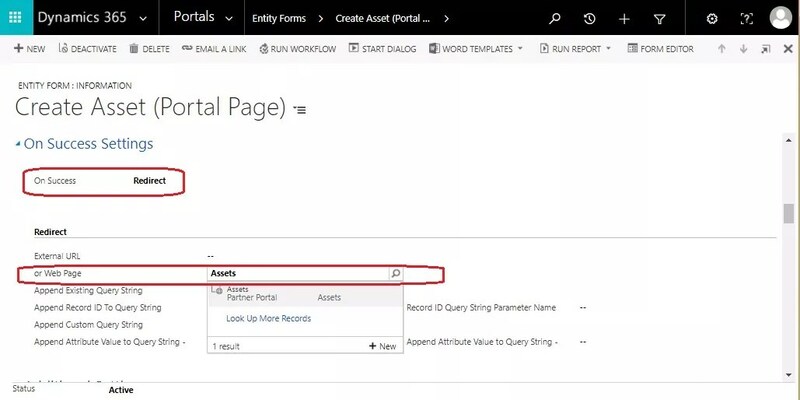 Add Create button in Assets Entity List in D365 Field Service. Open “Assets Customer Web View” record in Entity List as highlighted below. Open Grid Configuration Section in Options Tab. 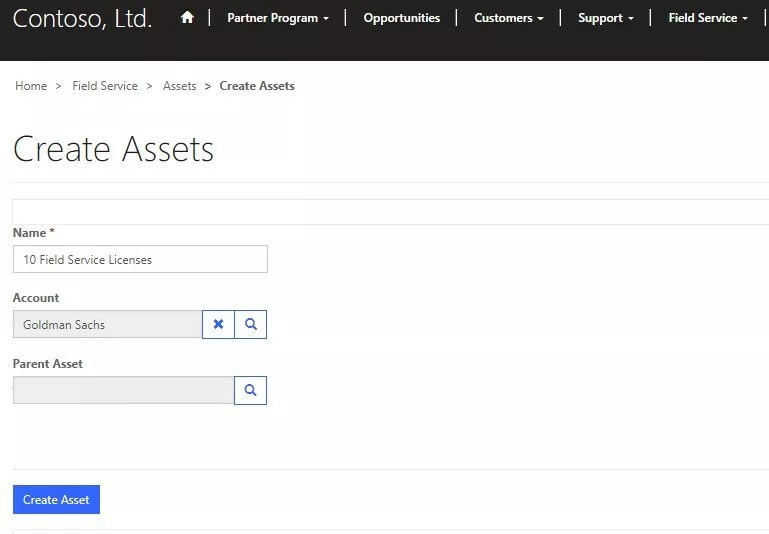 Create new Action “Create”, Select Target Type as “Web Page” and select Redirect to WebPage as “Create Assets ( Partner Portal )” as shown below. 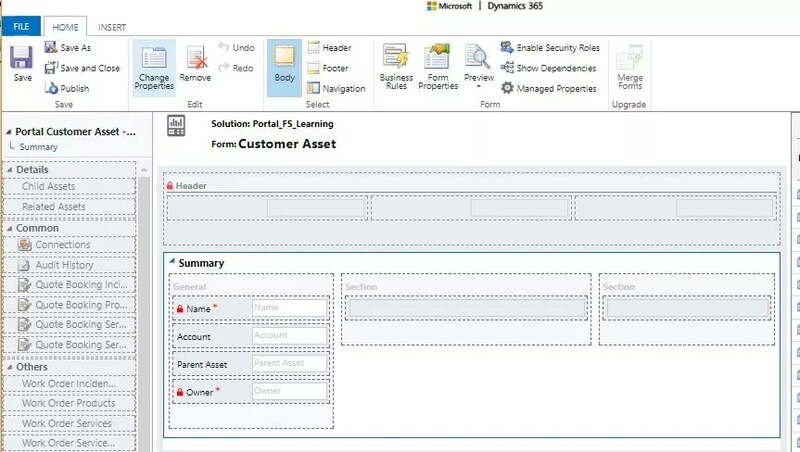 Above description in blog helps users to create Customer Assets from D365 Partner Field Service Portal. Create button on Asset List Page. New Asset record is shown in list. How to redirect to page after a record is created successfully by using “On Success Settings” tab. 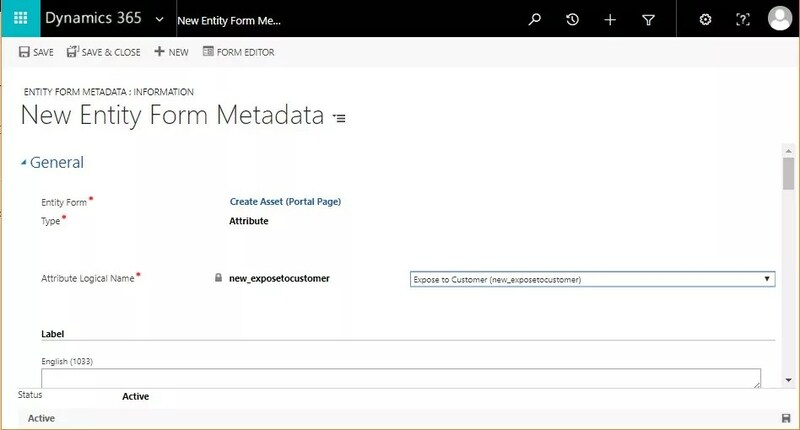 How to set data on record from D365 Portal automatically by using Entity Form Metadata. How to show data created in D365 Field Service Portal as soon as it is created by setting field “Expose to Customer” equals to true.